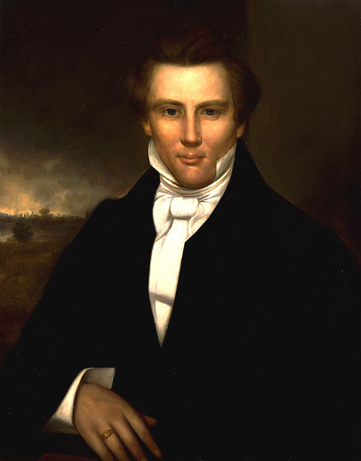 Joseph Smith, by Adrian Lamb, copy after unidentified artist, circa 1840. After eloping with Emma Hale in 1827, Joseph Smith loved on his in-laws’ farm outside Halstead, Pennsylvania, during the first few years of their marriage. It was there that Smith produced the manuscript for The Book of Mormon, which was first published in 1830.